Lieselotte Setzer: Art and antiques have always been of special appeal to me. There was not a single hidden corner of the ancient house in the country where I spent my holidays when I was a child that escaped my attention and remained unsearched for relics of the past. From very early on I was fascinated with books on painting and art; I visited art exhibitions and was a regular guest in respective museums. Years later, while still ambitiously engaged in the banking commerce, I was offered the opportunity to follow my vocation and work for the well-known gallery D&S Antiquitäten. For nearly 25 years I held the position of head of sales management. During that time my professional environment was a source of inspiration and, of course, also communication with many lovers of art. After termination of D&S Antiquitäten’s commercial activities, I greatly desire – also on behalf of our long-term clients – to ensure continuation, especially in the field of the antique Viennese clock. The concept of Lilly’s Art goes a step further: in an innovative kind of way I let high quality works of art of various styles enter a rewarding dialogue. Exceptional antique Viennese clocks and important international timekeepers of the 17th, 18th and 19th century are enriched by paintings and sculptures of renowned Austrian masters from the Biedermeier period until today. Our range is completed by high-quality furniture and exceptional artistic craftwork. It is not only a special kind of presentation and collecting activity but a unique aesthetic perception and appreciation of art which are based on variety, mulitfacetedness and most of all on epoch-spanning quality standards. Those interested in art as well as experienced art connoisseurs are offered the possibility to discover and rediscover one work of art through another one. Lilly’s Art opens gates in new artistic worlds! 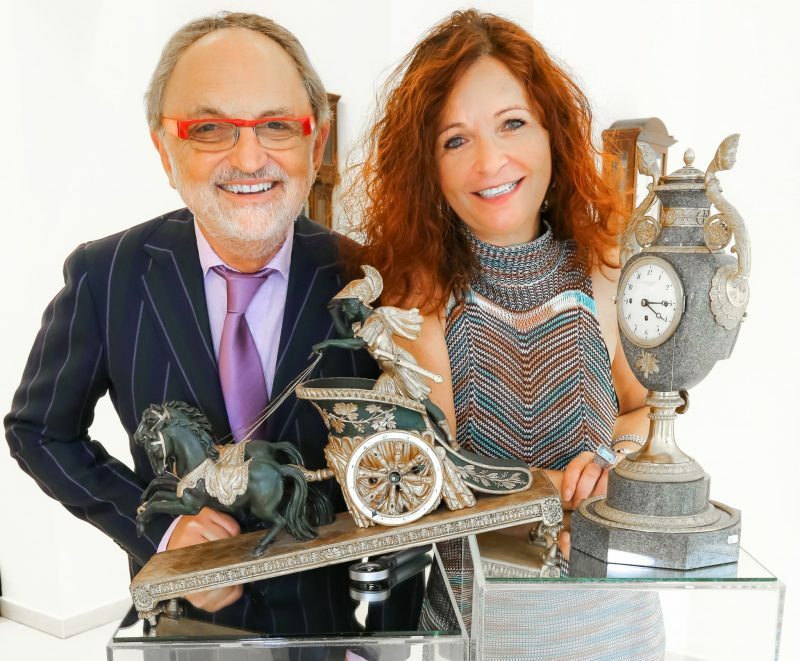 Kristian Scheed: “Having started working as an art dealer in Vienna city centre in 1979, I soon devoted myself to the antique Austrian clock together with my partner at that time. After 25 specialist catalogues, which appeared annually for our special exhibitions and won me the title of professor as well as a high level recognition from the Ministry of Science, we sold our company in 2008. I was actually thinking about retiring – but an enticing offer from my former sales manager, my present partner, weakened my resolve, and Lilly’s Art was born. Those who are addicted to art remain so for the rest of their life. I have always been fascinated by Lilly’s unique ability to combine antique art with modern objects into a magnificent whole as well as her “nose for art”, which infallibly sniffs out the extraordinary. It’s wonderful that I can continue to find, research and prepare antique Viennese clocks for our elaborate publications. It’s wonderful how much I’ve been able to approach the modern and contemporary Austrian art. With a motivated, dedicated team and in a productive and trusting partnership, the work is fun and the success unstoppable, so should last for a few years yet.